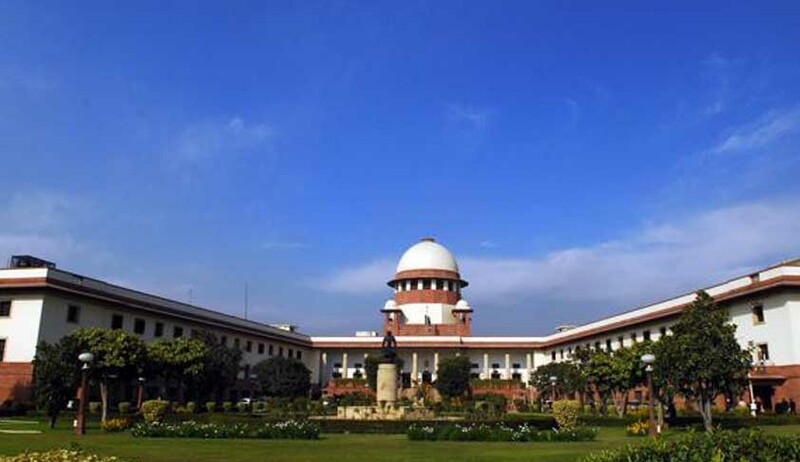 The Supreme Court, which took a serious note against the inclusion of Jat Community in the list of OBC category, today, refused to stay the Centre's decision to grant reservations in government jobs and educational institutions to the Jat community.The apex court had asked the Centre to provide complete material on the basis of which it founded its decision to bring Jats under the OBC category. The top court, which had issued notice to the Centre, directing it to file reply by April 9, stated today, that it was satisfied with the documents submitted by the Centre in support of its decision to bring the Jats in the OBC list. On April 1 while issuing notice in WP(C) Nos.274 and 278 of 2014, the respondent- Union of India was asked by the apex court to place the entire records relating to the impugned notification on the next hearing date. Following which, Mr. K. Parasaran, learned senior counsel appearing on behalf of the Union of India placed complete records including the decision taken by the Cabinet Secretariat viz. Case No. 108/13/2014. He also placed copy of the said proceedings.A Supreme Court bench comprising Chief Justice P Sathasivam, Justice RanjanGogoi, Justice N.V. Ramana, on going through the same stated that itcouldn’t be argued that there was no material for taking such decision. Thus, the Court has directed the respondent-Union to file counter affidavit within three weeks and rejoinder/reply affidavit, if any, may be filed within two days afterwards. The apex court, thus, rejected the interim prayer for stay. Meanwhile all the parties have been allowed to complete their pleadings. The apex court, which has posted the matter for further hearing on May 1, directed the Union of India to produce the original records once again. Live Law, reported that on April 1 the apex court directed the Centre to provide complete material and files on the basis of which it founded its decision to bring Jats under the OBC category in seven states - Uttar Pradesh, Madhya Pradesh, Gujarat, Rajasthan, Haryana, Himachal Pradesh and Bihar. The court sought the Attorney General’s assistance in this case. Objection was raised by National Commission for Backward Classes (NCBC) to include Jats among OBCs saying they are a forward community mostly of zamindars. The court said that after examining from records as to the Centre’s application of mind on the issue, it would consider the petitioners’ plea for stay on inclusion of Jats in OBC. It was alleged that the inclusion was to create vote bank, a decision taken by the UPA government. OBC Reservation RakshaSamiti made an appeal, to the Supreme Court in its petition, to quash the Jat quota announced by the Centre just before the polls. It contended that it was conflicting to the recommendation of the National Commission for Backward Classes. Arguing that the Court should hear them also before passing any orders, few Jat organizations had, in the interregnum, filed a caveat.